Budget flexibility is important in today’s dynamic, always-changing business environment. Organizations need to be able to react quickly and take advantage of new opportunities as they arise, allocating resources as necessary as part of an agile business model. Knowing exactly how much you are committed to in terms of compensation is a big part of this flexibility—both in real time and in the future. Having an accurate understanding of compensation accrual allows you to make informed decisions. Do you have the budget to take on a new product line or market? Is there room to make a strategic acquisition and still make good on commissions next quarter? How will expanding into a new market affect compensation in the next several months? Can you meet those commitments if goals are met? Ensuring accrual accuracy is all about having the right data, the ability to analyze the information appropriately and communication with the right people in the organization. Complete Data Set: Your Sales Performance Management (SPM) solution should have robust reporting capabilities that allow you to track past performance, current status and future forecasts. This will give you the ability to better understand trends, where you are going and where your compensation responsibilities will likely end up. Tying this all together should be powerful analytics capabilities that can collect, parse and analyze the data in a way that is easy to understand and leads to action. Communication: The finance department isn’t the only team with insight into compensation. Sales managers—and even sales reps—can provide valuable information about goals and the likelihood of meeting bonuses. The sales operations team can also provide insight into how compensation is likely to evolve in the future. Real-Time Visibility: Figuring accruals isn’t a one and done process. Accruals need to be constantly updated, providing managers with the real-time information they need to make accurate, data-base decisions about the business. They need to be reviewed and tweaked on a regular basis to reflect current conditions and responsibilities. Accurate accruals give you the ability to react quickly to changing business conditions and allocate budget appropriately in a way that makes sense for the organization. 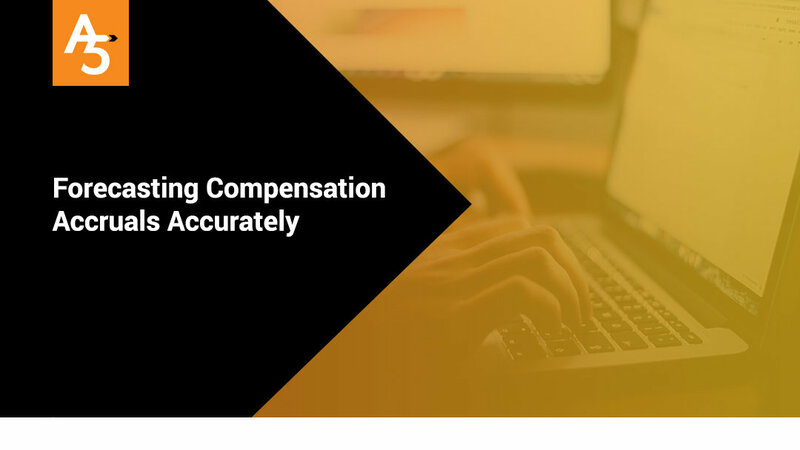 Accruals need to be based on a complete data set that incorporates historical, current and forecasting models, and you need to make sure you get feedback from everyone in the sales organization who may have insight into how compensation will fall. Complete visibility into compensation commitments help you make informed decisions and remain agile in today’s dynamic marketplace.